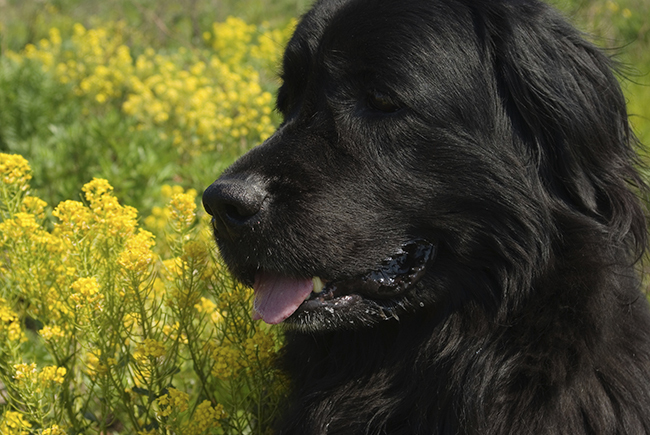 The average male Newfoundland weighs around 130-150 pounds and the average female 100-120 pounds, but they can become much larger. The PlexiDor Extra Large accommodates dogs up to 220 pounds and has an opening width of 16″ and a height of 23.75″. In addition to size, the PlexiDor Extra Large has a sturdy frame that won’t crack or warp from daily usage by a large and energetic dog. The panels are constructed to be extra strong, and they have a chew-proof trim. There are other brands that make extra large dog doors, but a flap this size will become heavy for the pet to open, and plastic pet doors can’t handle the force of a gigantic dog running through at full speed. It is always important to have a pet door that closes tight once the cat or dog has gone through, but it’s even more important when the opening is so large. The PlexiDor’s weather seal will help ensure that weather stays outside.